More than 1,500 indigenous protesters had a clear message as they march through Ecuador's capital Quito on Wednesday: Stop mining on, or near, indigenous territory. 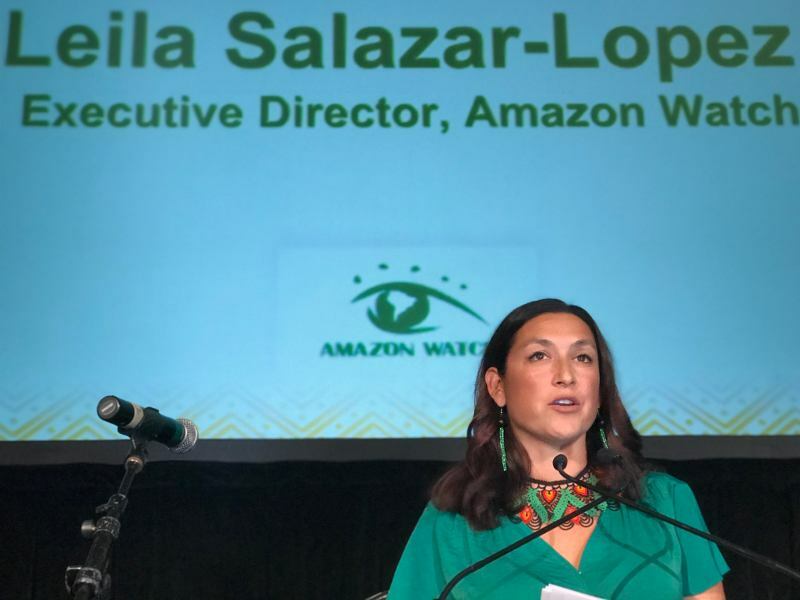 "We need to fight together," said Alexandra, a Kichwa indigenous woman who walked more than 600km in traditional sandals from the southern Amazonian province of Zamora Chinchipe to Quito. 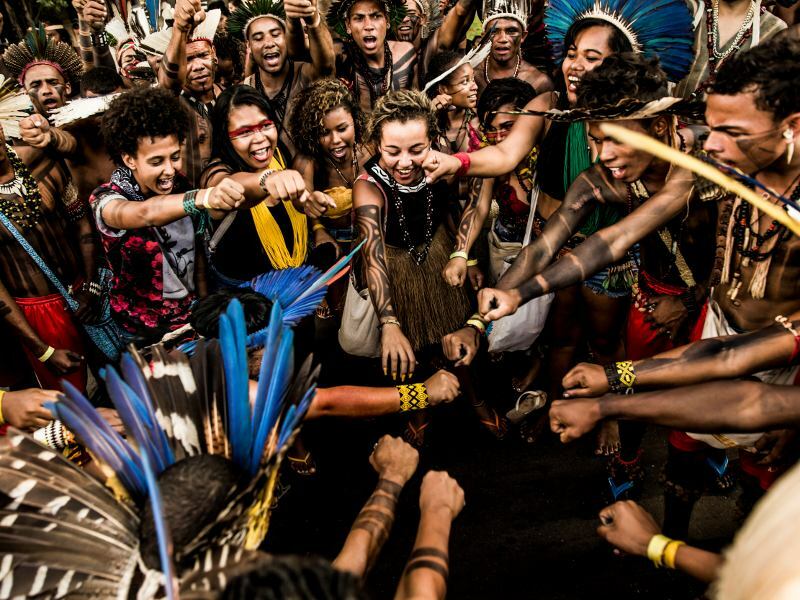 She was one of about 80 indigenous protesters who set out from their native lands on November 3rd with the goal of ensuring the protection of their water and territory. Hundreds more from other indigenous groups joined them along the way. "We've had to leave our homes"
"It's been really hard at times ... more than anything because the government doesn't listen to us, and some of us don't have a place to live. We've have to leave our homes because of mining projects," Alexandra said. 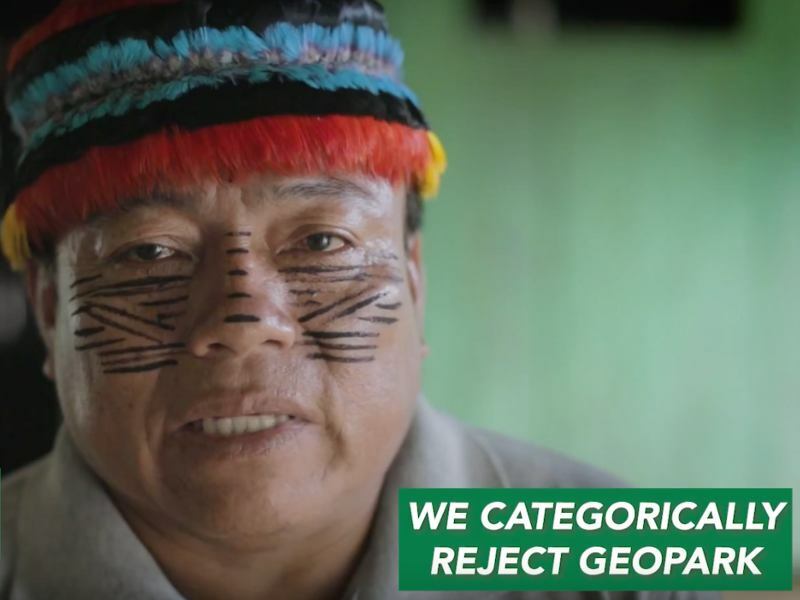 On Tuesday, a small group of Amazonian indigenous women occupied the Ministry of Hydrocarbons, refusing to leave until they speak with Minister Carlos Perez and present him with a list of demands – namely that oil drilling in the Amazon stop. As of Wednesday night, the women were still in the ministry. 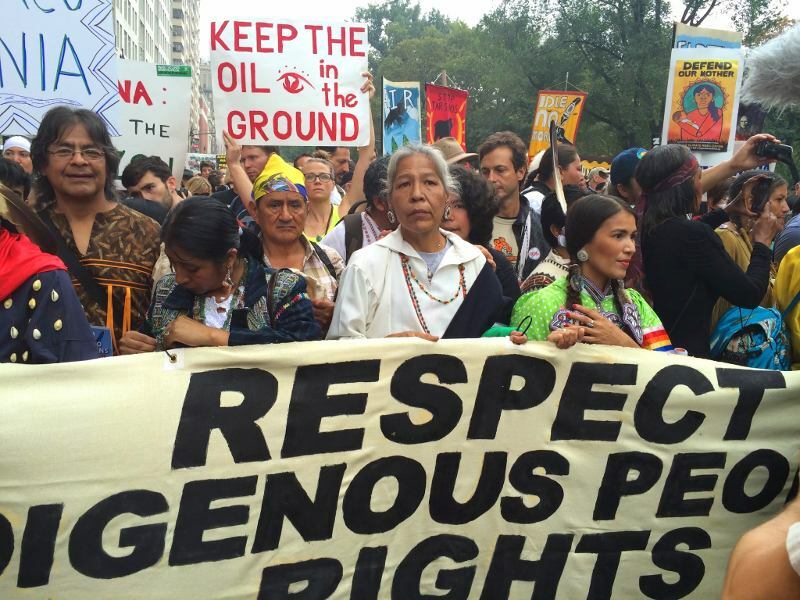 "Oil will remain under the ground because we want to protect human life. Let's all go out to defend life," wrote Gloria Ushigua, one of the occupiers from the Sapara nation, on her facebook page while inside the ministry. 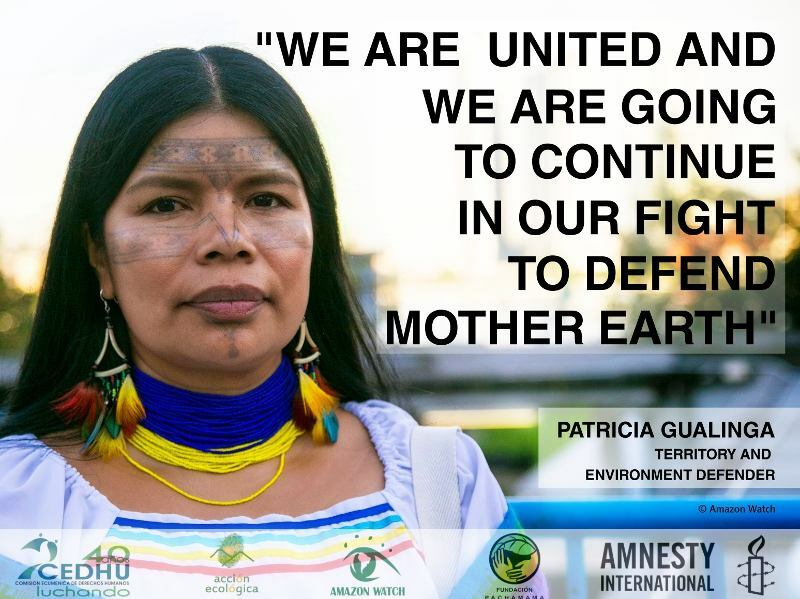 Stand up for Women Defenders of the Amazon! 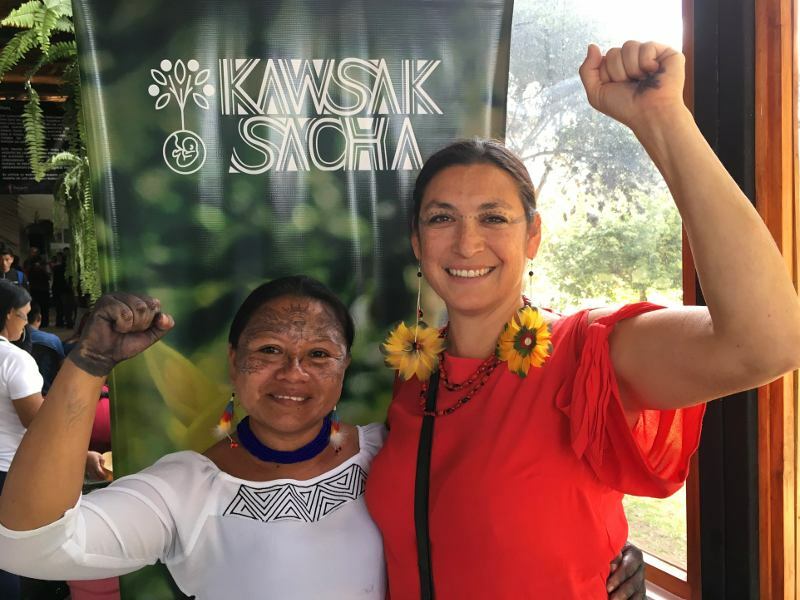 Sarayaku Launches Living Forest Proposal - Viva Kawsak Sacha! Join Us on September 8th to RISE for the Climate!